I spoke to Laura recently to find out more. 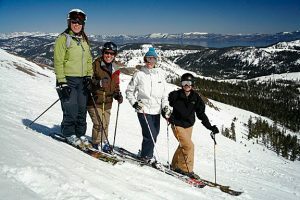 Ski Diva: What an amazing experience! 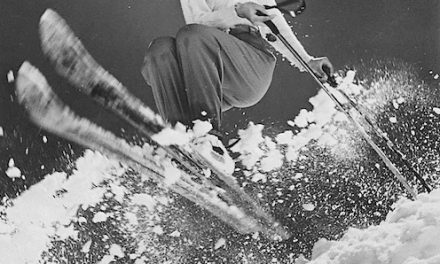 How’d you come up with the idea to ski around the world? 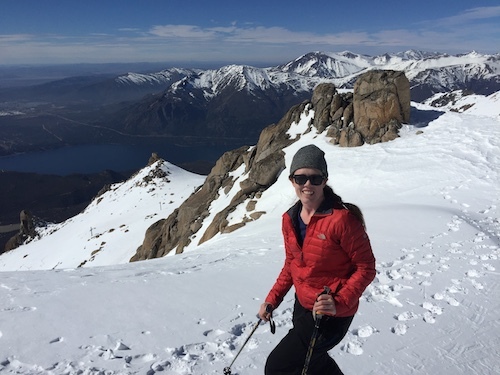 Laura: The idea came from my first international ski trip to Chile in the summer of 2015. By several accounts this was the worst vacation I have ever taken. I went with four friends to ski Portillo and Nevados De Chillan and we experienced disaster after disaster. We got hit by a truck on our first day and totaled our rental car, a friend got her credit cards stolen, every bus we took broke down, and we lost power in our lodging. Despite all of that, the skiing was decent and I loved it. I liked the challenge of the travel, the excitement of exploring new mountains, and skiing in the middle of summer just makes you feel like a badass. I was hooked. Ski Diva: Okay, so you like to ski internationally. 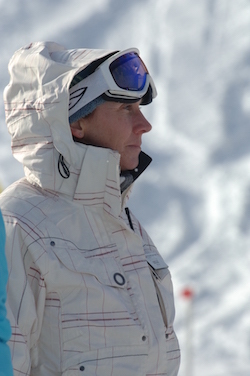 How did that turn into quitting your job to ski around the world? Laura: I was sitting at work one day talking to one of my mentors, Ian, about the next step in my career. I was at a point of transition and needed to decide if I was going to pursue a change to an operations role in my company or go back to business school. 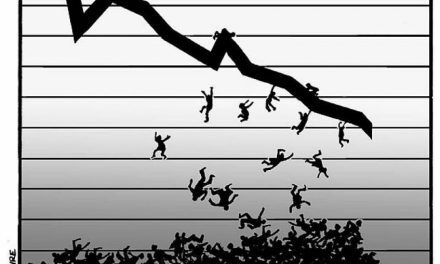 I had been raised in Texas and grew up thinking this was the path to success and happiness: stable job, promotions, marriage, children, a house, etc. Well, guess what? I wasn’t happy on that path and didn’t see that changing with more money or a better house. I needed to do something different. So, Ian being the awesome person he is, pushed my thinking and said “Well, if you don’t want any of that, what do you want to do?” It took me a second but it finally clicked: I would ski. I would spend my time skiing around the world. And that was it, the trip was born. Ski Diva: How were you able to do this? I mean, didn’t you have obligations? Laura: Sure, I had all of the ones you typically have: an apartment, good job, steady life, and a new relationship. As my dad likes to say, life is a series of trade offs. I traded all of the stability in my life for an around the world adventure. Don’t let the simplicity of that answer fool you though, it wasn’t an easy decision. At 28 I was essentially disregarding every responsible expectation of what I should be doing with my life such as buying a house, finding someone to marry, saving for my 401K, etc. Mentally that was a pretty big hurdle to get over but that standard path wasn’t giving me much happiness and I am so thankful I pursued it. 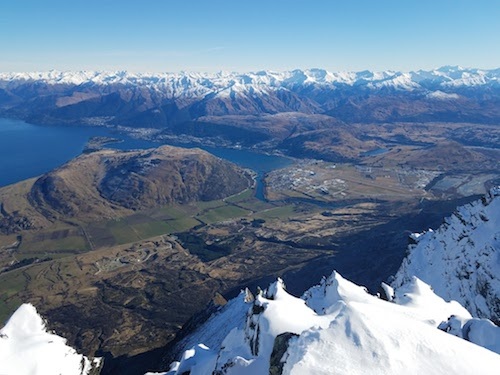 Ski Diva: How did you go about planning your trip? Laura: I had a white board in my office and for about six months there was a list of months written on the left hand side and I would research where there was consistent snow during each of those months. I would rigorously check snow reports, resort websites, and country tourism sites to see when resorts were opening and how much snow they would have. I also did a lot of research on the Mountain Collective and Epic Pass resorts to try and align the countries with places where I already had a ski pass. By August I had picked my first country and started the clock on the twelve months. Ski Diva: Sounds like you were pretty laissez faire with a lot of your planning. Did that strategy ever backfire? Laura: Absolutely. I was a few hours late in submitting my eVisa for India and ended up getting stranded in Amsterdam because I didn’t have the visa code, even though I had a confirmation email to say I had been approved. The visa number would have been provided by the time I landed in India but apparently that wasn’t good enough for the airline so I was stuck. I stayed in an awesome hotel, CitizenM, and was well rested for the long flight. It was stupid but turned out fine. Another time, I showed up the day the resort closed in South Korea. That was a huge blow; I was really excited to ski where the 2018 Winter Olympics were going to be held. I had just spent two weeks not skiing trying to reduce swelling from my recently torn ACL and had traveled ten hours only to arrive and be told the resort closed early to lack of snow. Great. I spent about two hours crying in my hotel room before determination set in. I grabbed my touring gear the next morning and skinned up the resort to get my run. When I provide ski trip advice to other people, which I love doing, I try to give them more detail than I use for my own trips. The last minute style isn’t for everyone. Ski Diva: Did you go alone? If so, what was that like? Laura: Yep, at least 95% of the time I was doing this as a solo female. I would occasionally meet up with friends to ski if they were already in the same country, but there were only a handful of times that happened, so most often I was alone. The majority of the time I found the solo travel invigorating. People, both men and women, were shocked that I was doing such a big undertaking alone and I loved altering their perception of what is possible. I think traveling to ski towns actually made things easier — you have a common love of the mountain you can bond over. Ski Diva: How many days did you ski in each country? Laura: To be honest, I didn’t count. 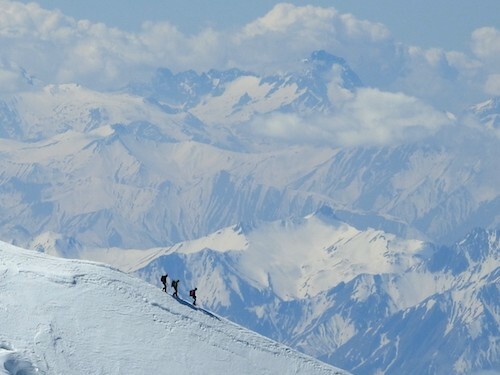 I skied one day in Kazakhstan and spent over a month in Switzerland. It really depended on how much I liked the country and how injured I was at the time. I was skiing with a torn ACL, torn meniscus, and a broken wrist for most of this travel. I’m sure I could have gotten more days on mountain if I stayed home and played it safe. Oops. Ski Diva: Did you go from country to country, or did you return home in between? Laura: A little bit of both. For my first five trips I was still working, so I would fly out to ski for a week or two and then come back to Denver for work. Starting in January I left my job to ski full time hoping to start in Japan and work my way back west before going to ski Australia and New Zealand. Due to some unanticipated injuries I did have to fly back to the US for a few weeks in May for a surgery. The longest I was out of the US continuously was about three and a half months. Ski Diva: You mention a number of injuries. What happened? Laura: Unfortunately, two days after I quit my job in January I was skiing the backcountry of Beaver Creek and smashed into a rock. I broke several bones in my wrist and dislocated my hand from my arm. We had to ski for two hours to safety and then I was put into surgery the next morning. I was supposed to take off on the biggest portion of my trip two days later starting with meeting some friends in Japan to ski. Obviously that didn’t happen. After surgery I spent six weeks in Colorado rehabbing and was able to fly to India in February to resume my trip. 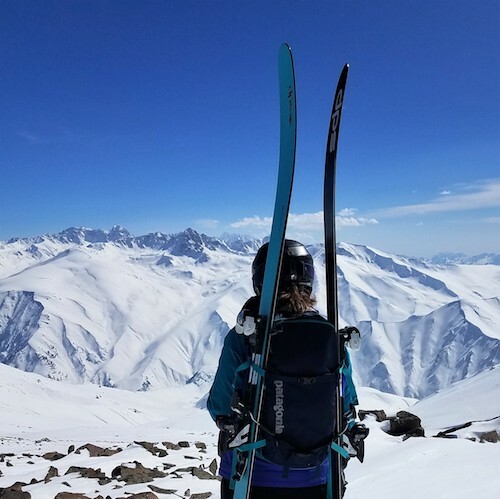 A week after India I was skiing in Kazakhstan and had a binding malfunction on some rental skis and ended up tumbling down the hill and tearing my ACL. I took two weeks to rehab that injury and then skied the rest of the trip in a knee brace. That worked well until the last week of my trip. I had just started down my first heliski run in New Zealand and heard the dreaded pop on the same knee I had a torn ACL. Something else just went… great. I paid a lot to ski so I was determined to finish the rest of the day and even convinced our guide to give us a bonus run since this would be my last time skiing for several months. After that I only skied one more day and flew home to the US for knee surgery. The surgeons were surprised I was walking, much less skiing. Ski Diva: Did you find differences in ski culture between the countries that you visited? Laura: Such a great question and at the core, no. I think the best part of skiing is going around the world and knowing that no matter where I am, no matter what language someone speaks, we can relate at a base level over our love of mountains and snow. That feeling was at the heart of every mountain town I went to from Banff, Canada, to Almaty, Kazakhstan. Ski Diva: So what were your favorite — or at least your top three — ski areas and why? Laura: This is everyone’s favorite question. My favorite resort was Gulmarg in Kashmir, India. I think it is an incredibly underrated hidden gem. When I talk to people about skiing internationally they immediately think Japan, but I believe India is the ultimate powder destination. It has just as much snow, 6,000 ft vertical drop terrain, no lift lines, and the whole trip can cost you less than $2,000 including your guide. I liked it so much I even help book trips for the company I used, KLineadventures. 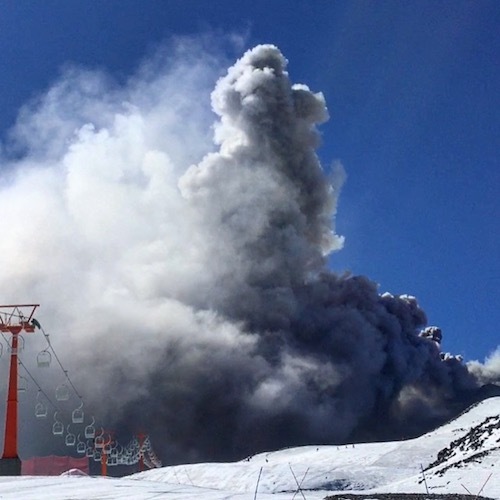 Las Trancas, Chile – Volcanic eruption on the mountain while skiing.